PARIS, FRANCE - CIRCA JUNE 2017: People walking inside Lafayette shopping center. 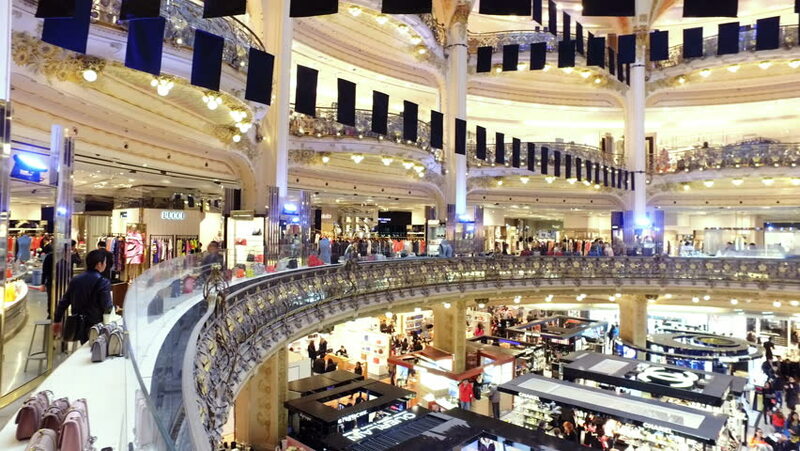 The Galeries Lafayette has been selling luxury goods since 1895. 4k00:22MADRID, SPAIN - MARCH 25, 2018: Buyers in Primark Gran Via shop. The shop is the second-large outlet of Primark in the world after shop in Manchester. hd00:17MOSCOW, RUSSIA - CIRCA DECEMBER, 2014: Christmas time at Gum Department Store. GUM is the name of the main department store in many cities of the former Soviet Union. hd00:06NU Sentral Mall, KL Sentral, Kuala Lumpur - Malaysia, circa November 2016.